(Click on photo to enlarge). The Board of Directors of The Bashan Foundation has changed. Dr. Ching-Yan Li at USDA-Forest Service in Corvallis, Oregon served as one of the founding directors and first resident agent of The Bashan Foundation. 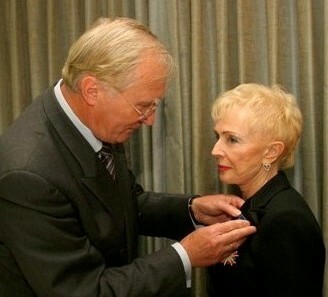 He retired from academic life and from his duties at the foundation on 24 July 2006. 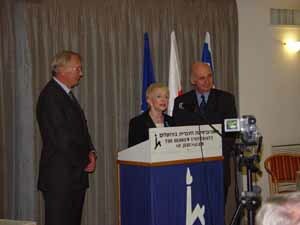 The Board of Directors, at its meeting on 24 July 2006 accepted Dr. Li’s resignation and unanimously elected Dr. Zvi Ha-Cohen at Ben Gurion University of the Negev, Sde-Boker campus, Israel, as a Director in The Bashan Foundation to replace Dr. Li. Additionally, Dr. Dan Louma from Oregon State University in Corvallis, Oregon was elected as an officer and as the resident agent of The Bashan Foundation. We wish Dr. Li a fulfilling retirement and good health. To our new director and resident agent, we wish much success. The old and founding members of the Board of Directors of The Bashan Foundation, accompanied by Mrs. Virginia Li, wife of Dr. Li, after a very long dinner at the newest Chinese restaurant in Corvallis, Oregon. 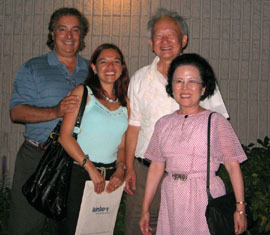 Dinner was immediately after the meeting where Dr. Li formally resigned from the foundation. Luz-Estela Gonzalez de Bashan, Vice-President of The Bashan Foundation, successfully defended her Ph.D. thesis at Laval University in Quebec City, Quebec, Canada on 24 May 2006. Luz is the daughter of a retired civil engineer in Bogota, Colombia. 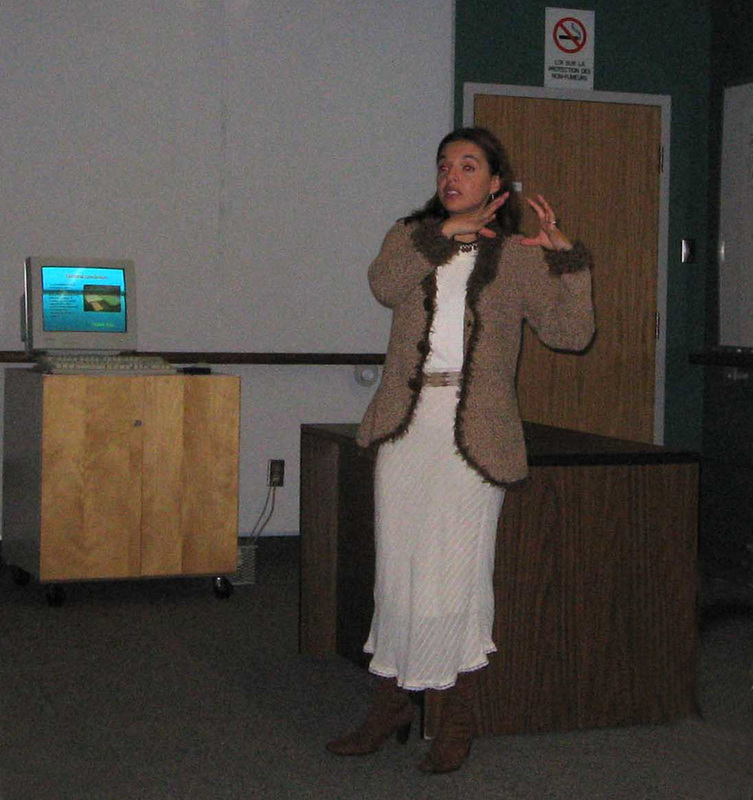 Luz also started her professional training as a civil engineer, but switched to biology. 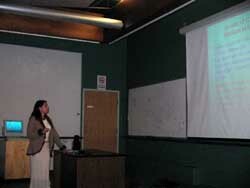 She investigates the use of microscopic organisms to treat and use wastewater and eroded soils. 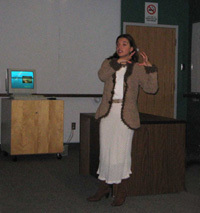 Although several members of her extended family in Colombia, Canada, and the USA are pursuing professional careers, she is the first one to be awarded a Ph.D. degree. 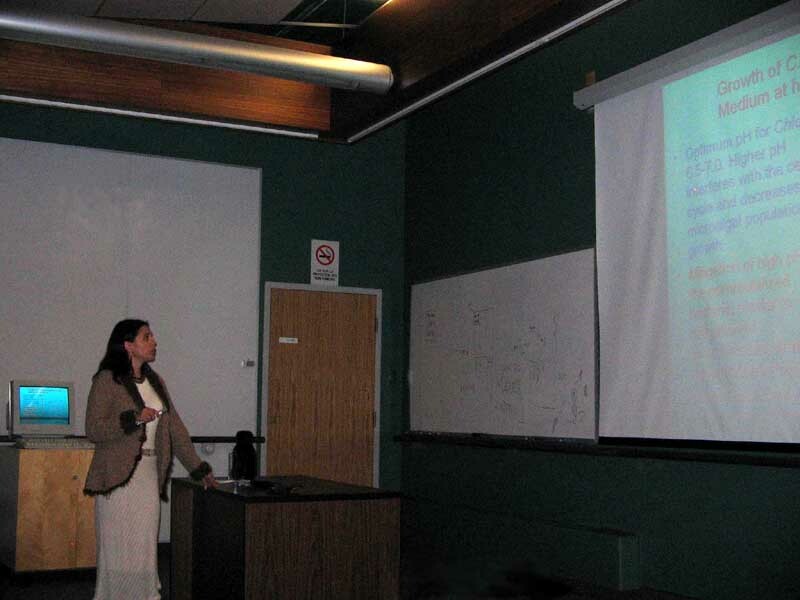 Currently, Luz is involved in water and soil bioremediation research programs in arid environments with her students at CIBNOR, B.C.S., Mexico and serves as the technical administrative supervisor of the laboratories of the Environmental Microbiology Group at CIBNOR. Her plans are to concentrate on research and teaching. Luz is presenting her high-pressure Ph.D. defense in 30 minutes where only the jury and to few members of the public are present. 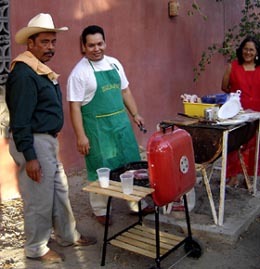 Unlike the tradition in Mexico, a general audience of student friends and family were not present. 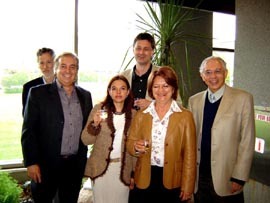 Luz with the jurors at a reception held in her honor at Laval University. 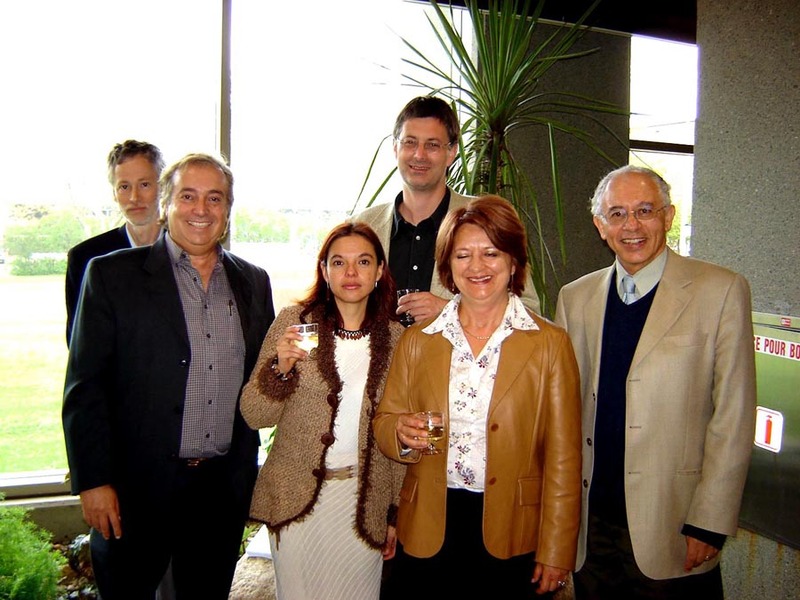 From the right: Prof. Hani Antoun, (Director of thesis, Laval University), Dr. Danielle Prevost, (external examiner from Agriculture-Canada, St. Foy, Quebec), Dr. Horst Vierheilig, (external examiner from the University of Natural Resources and Applied Life Sciences, Vienna, Austria), Luz, Dr. Yoav Bashan (In-residence co-director of thesis, CIBNOR, Mexico), Dr. Patrice Dion (external examiner, Laval University). Dr. Antoin Karem of Laval University (President of the jury) is absent. Although the Champaign was completely consumed, three surplus bottles of French wine made it back to Mexico. 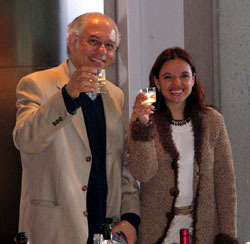 Luz with the director of her thesis, Dr. Hani Antoun of Laval University, minutes after she “dropped” the designation of student, possibly forever. Luz with two of the jurors, Dr. Horst Vierhelig from Austria (right) and Dr. Patrice Dion of Laval University (left). Even if Luz wears her highest heels, she is still short by about half a meter. 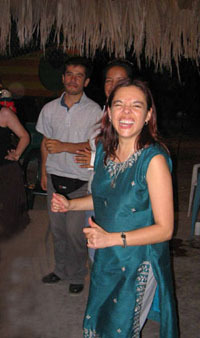 Because Luz is not a resident of Quebec and is unknown in Laval University social life, the real graduation celebration occurred a week later with friends in Luz’s garden palapa (shelter with a roof of palm fronds). Her family in Colombia received only photographs. 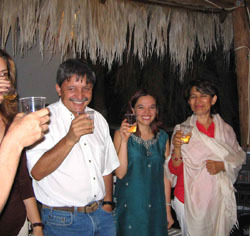 Toasting with Champaign are her friends, Dr. Rosalia Servin, and Rosalia’s husband Dr. Francisco Magallon. He graduated the same day as Luz, but in Havana, Cuba. The homemade food was delicious, spirits were good, and the music was Latin. Fiesta! 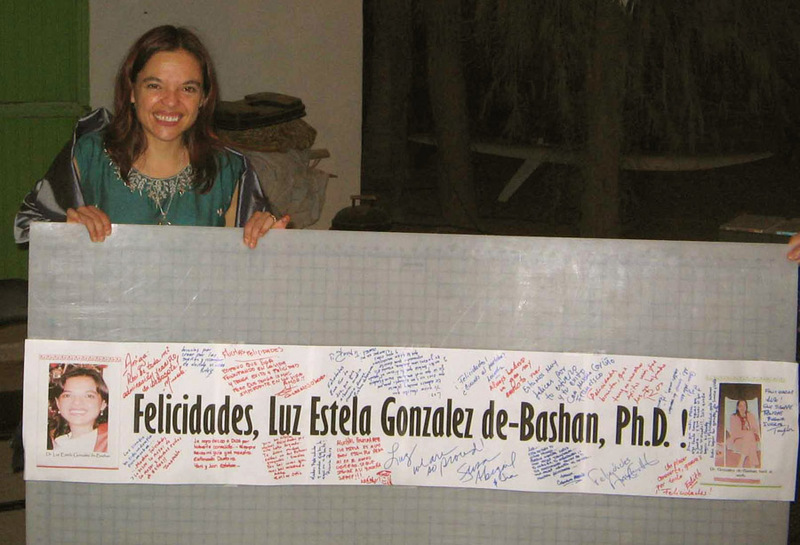 A giant greeting card was presented to Luz by her friend, Susan Fogel (not in the photo). On the card everyone at the party wrote their best wishes to Luz. Unfortunately, framing the card is beyond the capacity of the local frame shops. 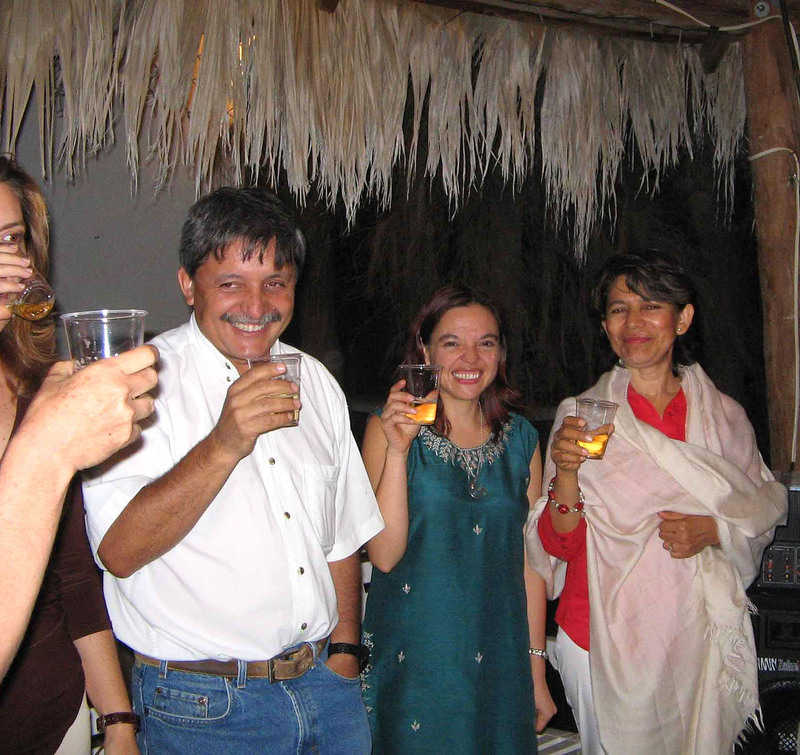 Adan, along with his thesis advisor, Dr. Luz de-Bashan, during a relaxing evening at CIBNOR, La Paz, B.C.S., Mexico, after the thesis was submitted for final evaluation at the university (December 2005). 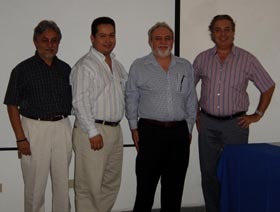 The second student to be partially supported by The Bashan Foundation, Adan Trejo, graduated successfully from the Universidad Autonoma Metropolitana (UAM) in Mexico City on 15 May 2006. Adan, the son of a retired laborer in Mexico City, is a highly motivated, self-supporting student, working during his studies at numerous jobs because his family could not support his studies. 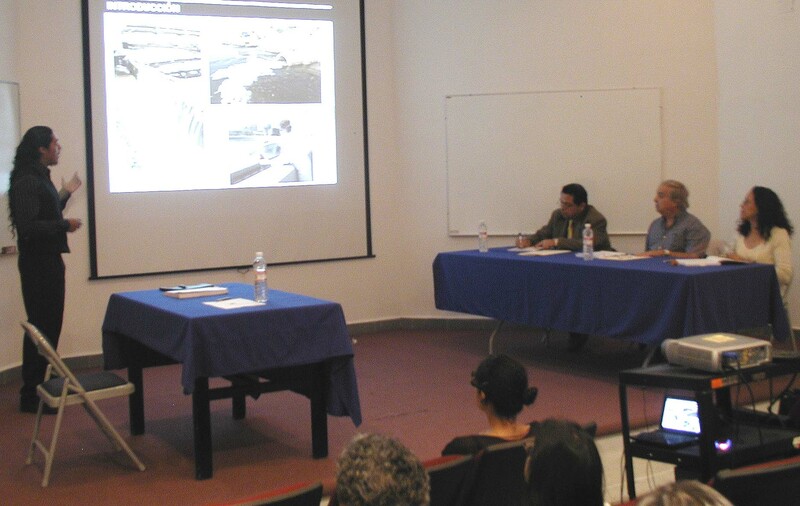 His thesis work concerned bioremediation of wastewater under extreme conditions with miroalgae. Adan is currently working as a research technician at Centro de Investigaciones Biologicas del Noroeste (CIBNOR) in La Paz, B.C.S., Mexico. He intends to continue his studies when he receives financial support for further studies, possibly in 2007. 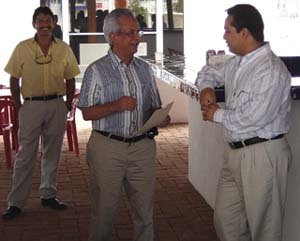 Luis A. Leyva, the first student to be partially supported by the Bashan Foundation, graduated on 27 April 2006 with a M.Sc. 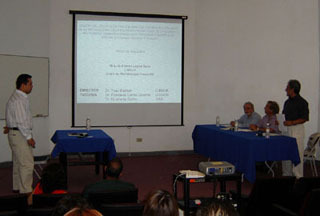 degree from the Northwestern Center for Biological Research (CIBNOR) in La Paz, Mexico. Luis, the son of a retired part-time fisherman and part-time small-scale rancher, is the 100th recipient of a master’s degree in the graduate program at CIBNOR and the first in his extended family to be awarded this degree. All of us at the Bashan Foundation are proud of his achievement. He will soon attend a research program at the University of Almeria in Spain to continue his education. The Polish Ambassador to Israel, Mr. Jan Wocjciech, pins the Cavalier Cross of the Polish Order of Merit on Dr. Shela Gorinstein of the School of Pharmacy at The Hebrew University of Jerusalem. This is the highest civil award issued by the government of Poland. 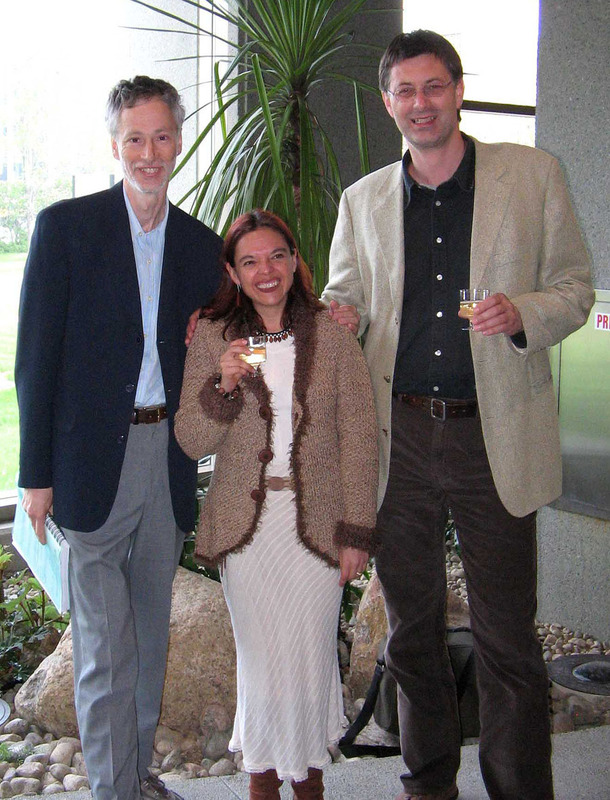 Dr. Gorinstein was honored for her extensive cooperative research with Polish scientists. Dr. Gorinstein’s response to receiving this honor during the ceremony held in Jerusalem.